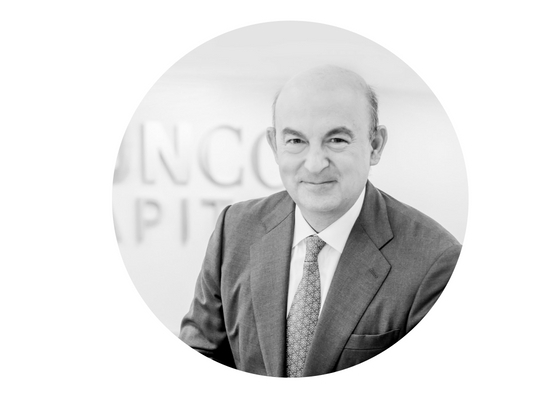 As CIO, Fernando is responsible for directing the analysis and selection of investments, risk analysis, due diligence process, and the legal and financial negotiations of Sunco Capital’s investments. He is responsible for the fund raising and structured financed activities of the company. Prior to joining Sunco Capital in 2015, Fernando was co-founding partner of Prax Capital Management, a private-equity firm based in Shanghai. Fernando was responsible for fund structuring, fund raising, and the due diligence processes and contract negotiations of the investments. He lived in Shanghai from 2007 to 2015. From 1981 to 1985, he was a CPA at Peat, Marwick, Mitchell & Co. (now KPMG) in Miami, participating audits of international banks, airlines, oil brokers, development companies and agricultural businesses. He holds a Bachelors of Arts in Economics and a Master of Business Administration in Accounting from Florida Atlantic University. 33 years experience in leadership positions and 13 years of experience investing in renewable energy manufacturing companies. Obtained the private equity fund manager’s license from CNMV (The Spanish financial markets regulator) in 2016 for Sunco Capital. From 2004 to 2015, structured, raised and invested four growth capital funds totaling $500MM investing in Chinese companies, and three real estate funds totaling $300MM investing in mainland China. Led the due diligence and co-led the contract negotiations for over 25 PE transactions and 11 real estate projects. Listed 3 companies in New York, 2 in Taipei, 5 in Hong Kong and 1 in Shanghai. Investments in the energy industrial sector included panel PV manufacturers Suntech and China Sunergy, wind mill blade manufacturer HT Blade, battery manufacturer Tianneng Power, silicon crystallization kiln manufacturer JYT, sawing wire and soldering ribbon manufacturer Fundant, and natural gas distributor Suchuan Gas.